New Nordic Kilo Trim contains the only E.U. approved diet ingredient, the konjac root fiber. In addition, Kilo Trim contains silver birch leaf extract, a potent diuretic, while contributing to the reduction of body weight. 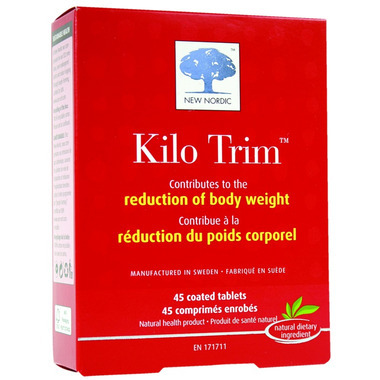 New Nordic Kilo Trim is rich in glucomannan, the ''super fiber'' that helps reduce body weight. Glucomannan is a soluble-type of fiber that forms a viscous, gel-like mass in the stomach that delays gastric emptying and makes you feel full and less hungry.